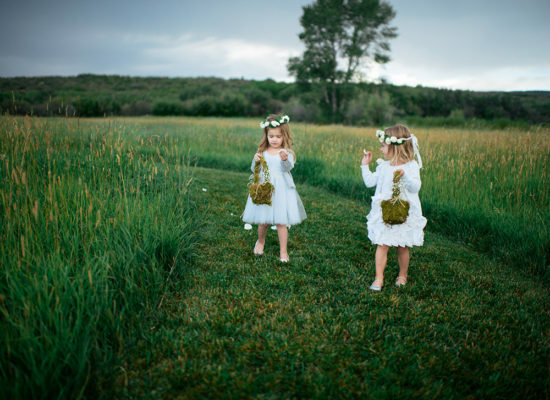 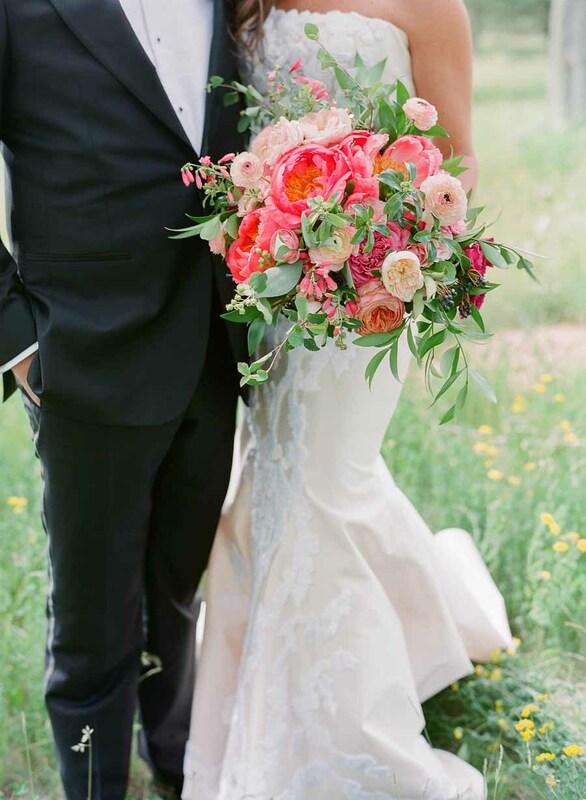 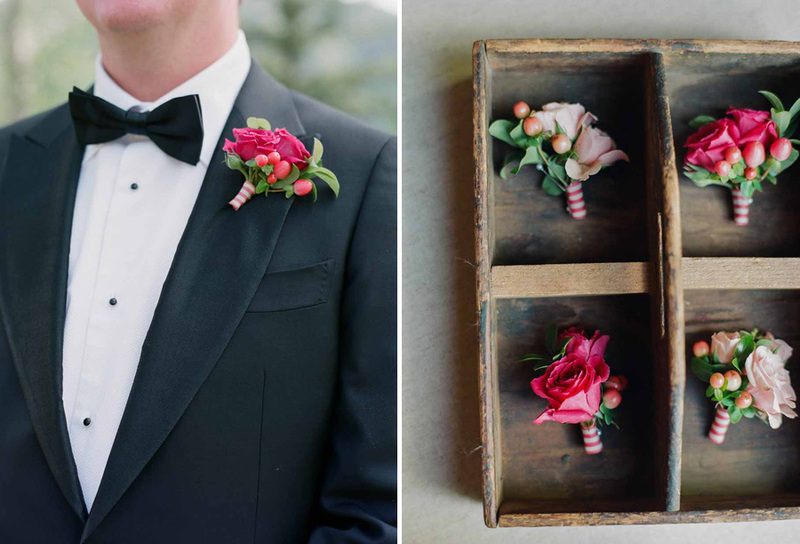 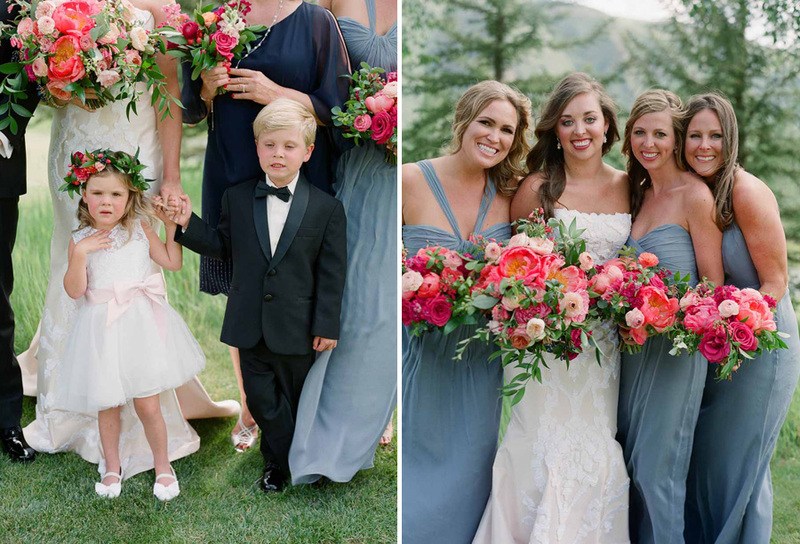 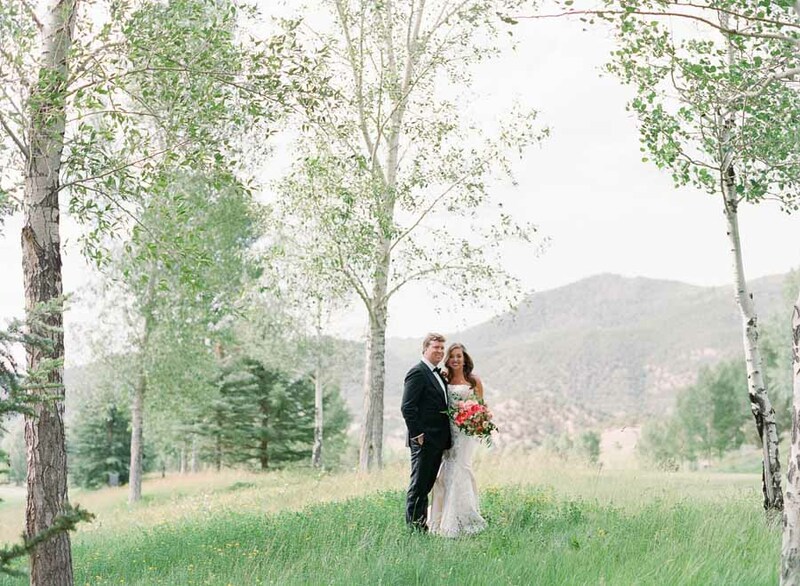 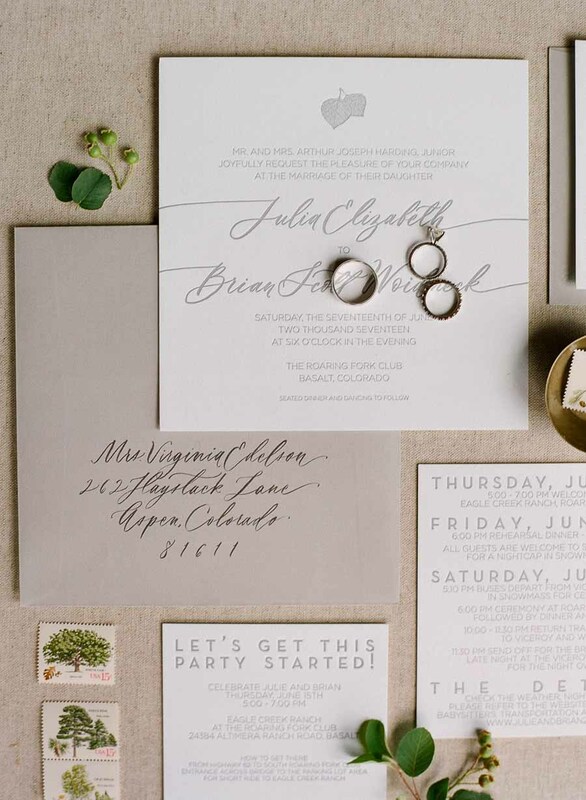 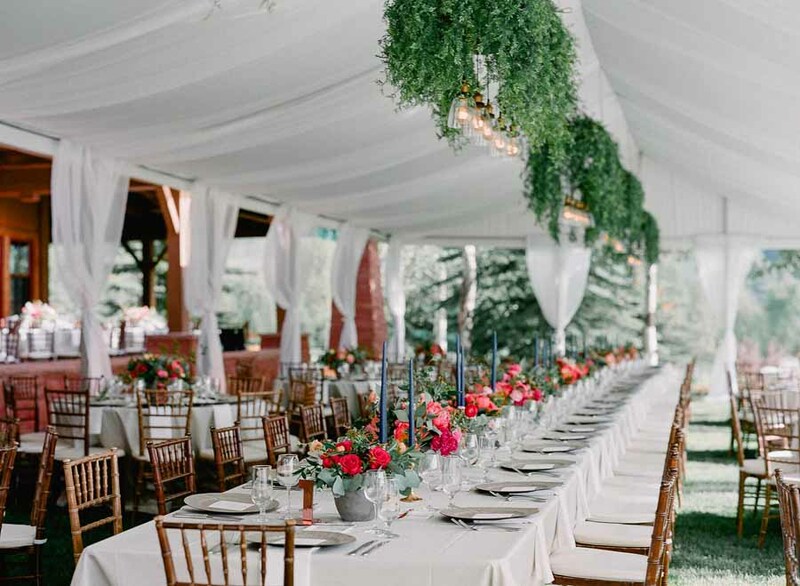 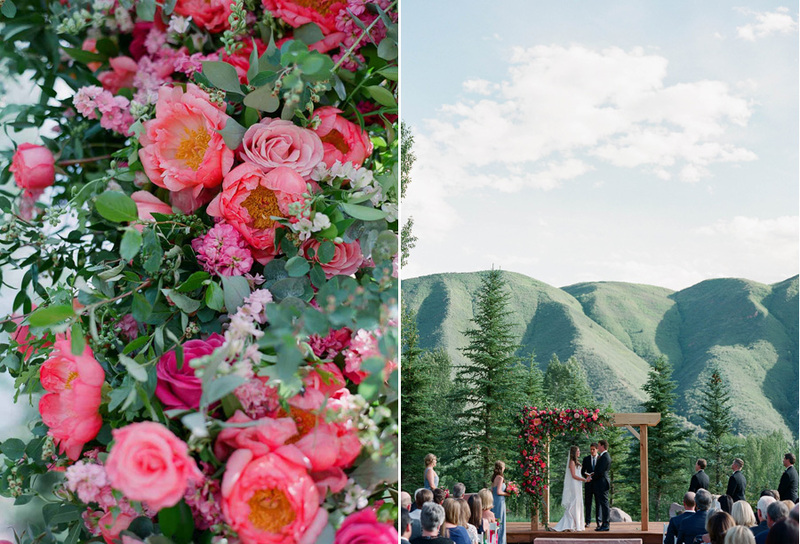 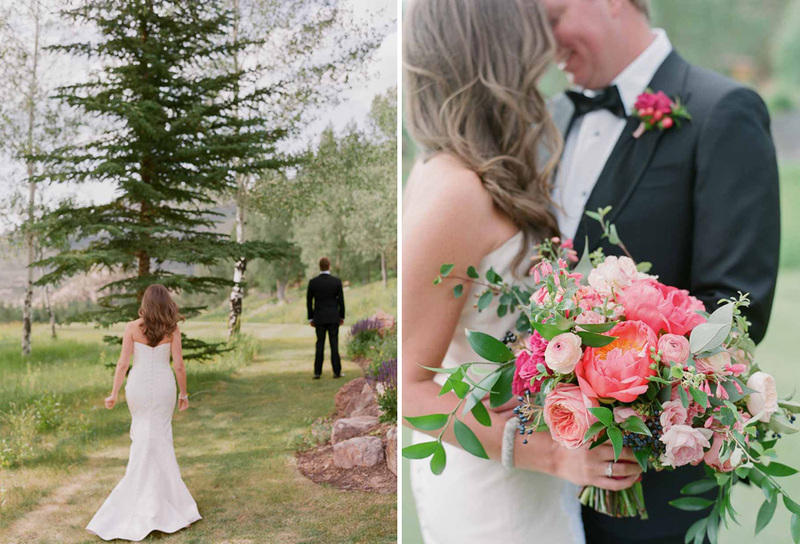 Color was the theme of the day for this sweet couple’s Colorado wedding and the Roaring Fork Club with its verdant green mountain views, was the perfect location. 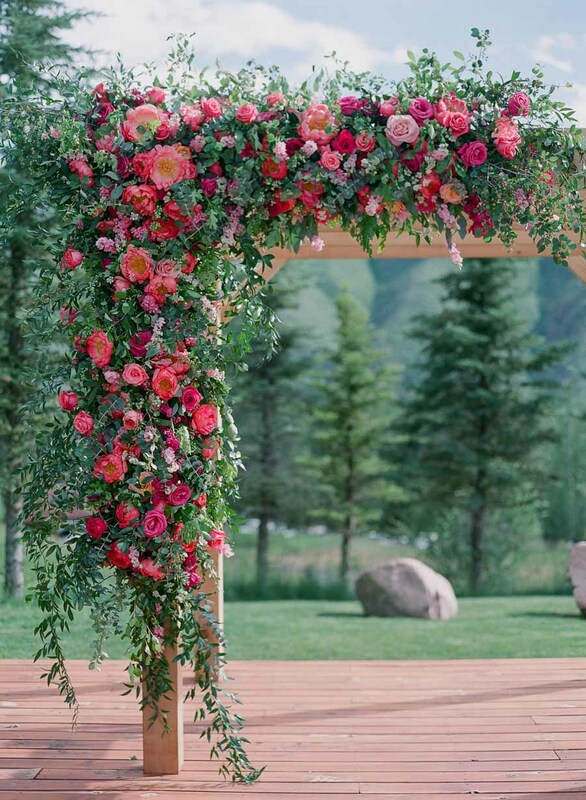 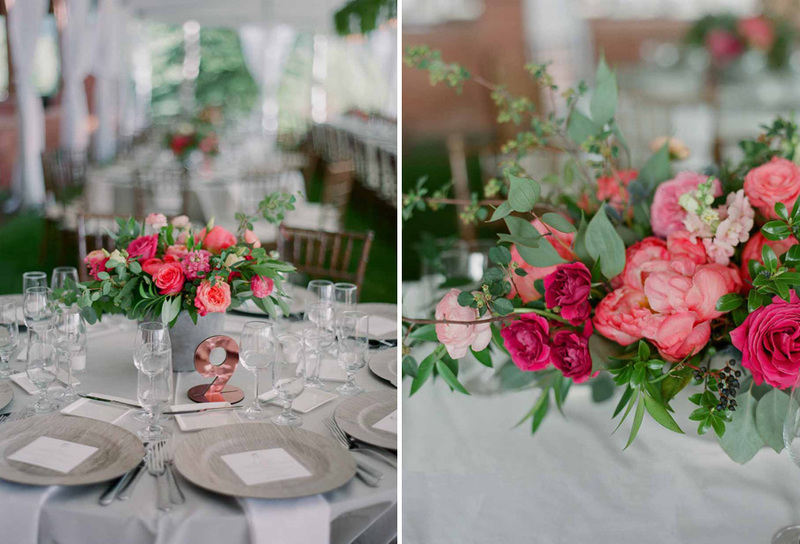 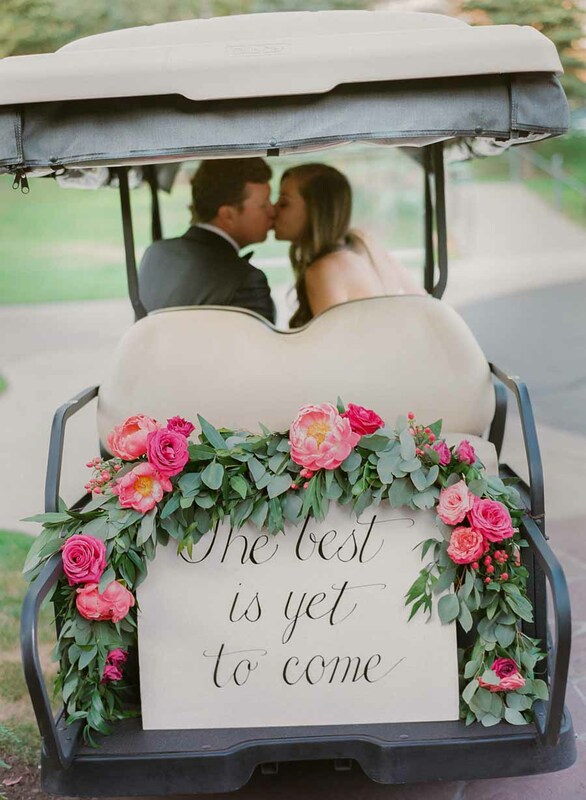 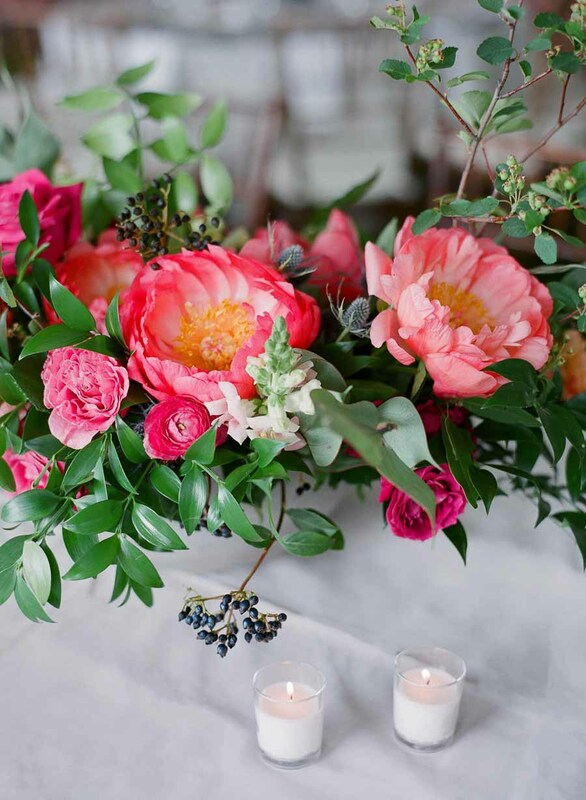 Bare Root Flora created a lush and colorful asymmetrical arbor with hot pink peonies and lush garden roses. 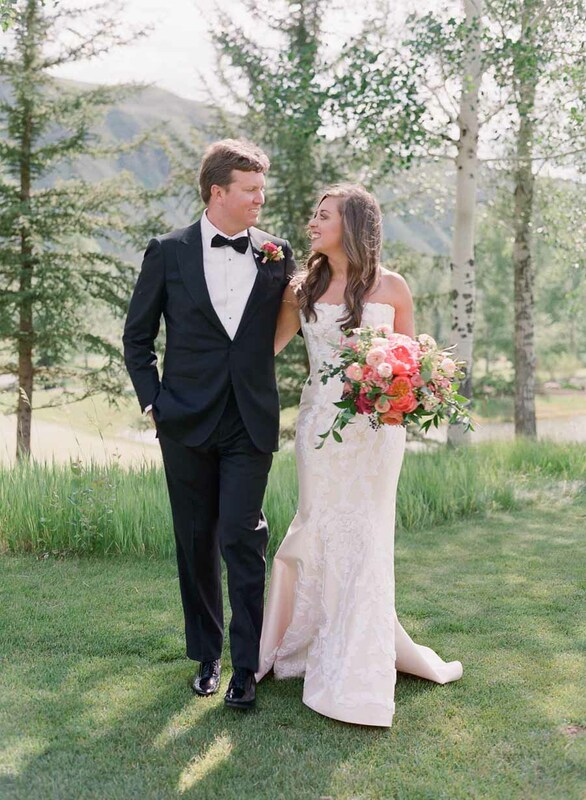 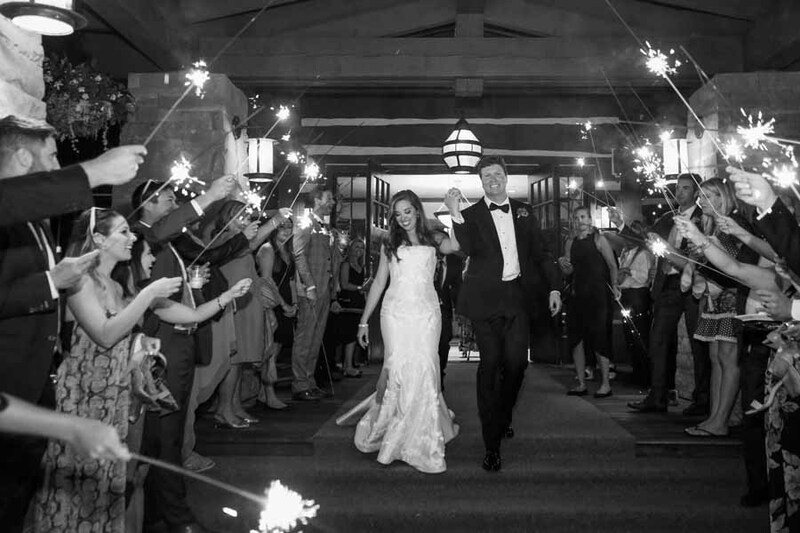 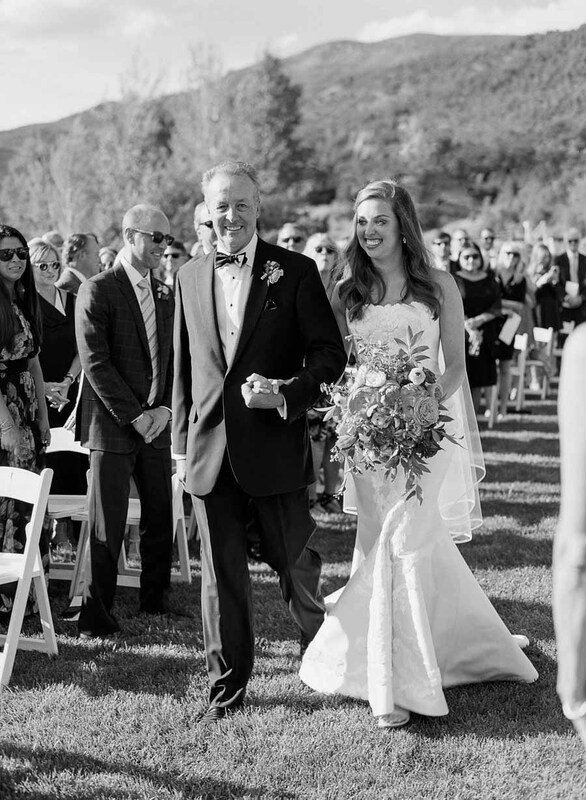 The bride donned a timeless lace trumpet gown and for her ‘maids long dresses in a dusty french blue were picked. 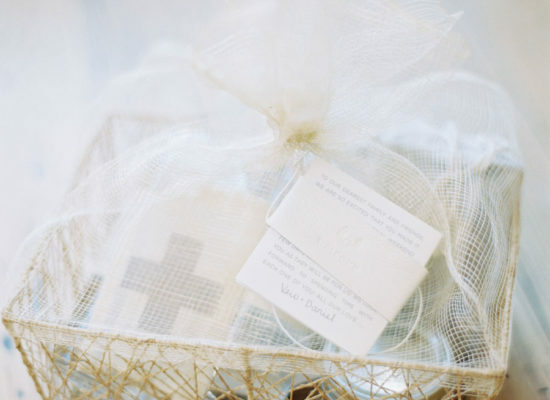 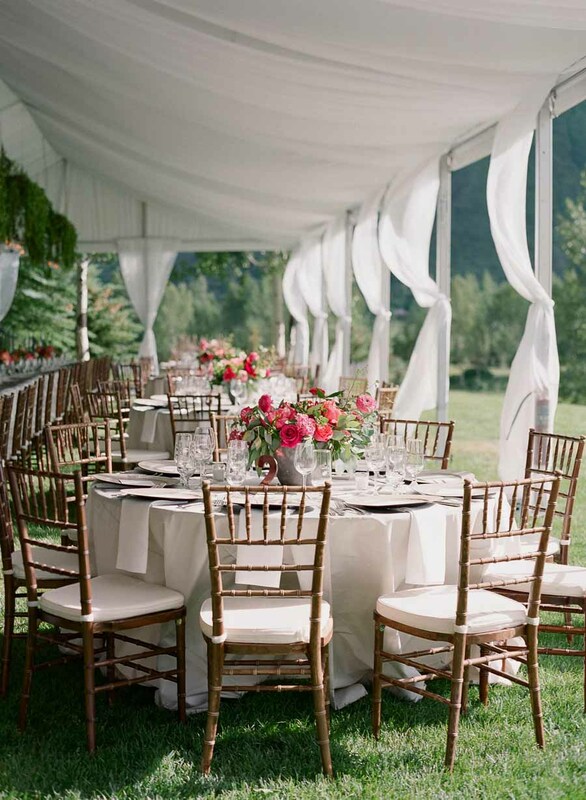 After the nuptials, guest enjoyed dinner in a tent draped with soft white fabric. 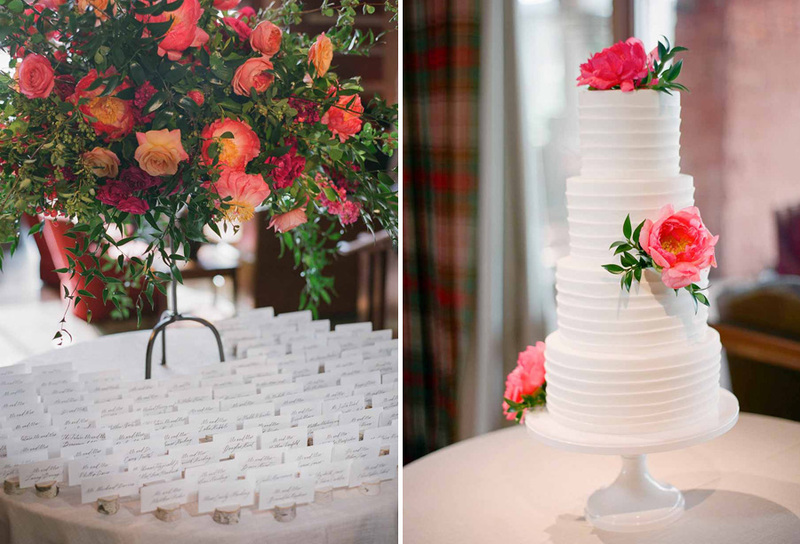 Nuetral linens allowed the bright floral centerpieces to shine. 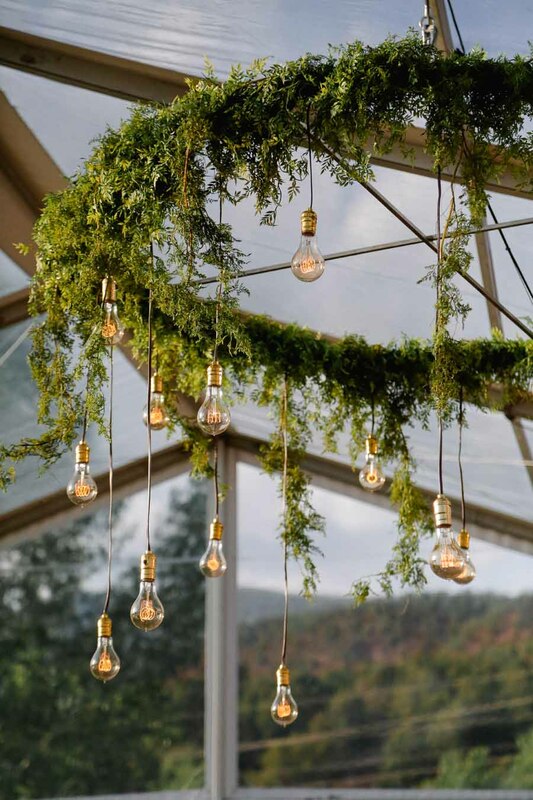 Above, chandeliers of Edison bulbs were decorated with trailing greenery. 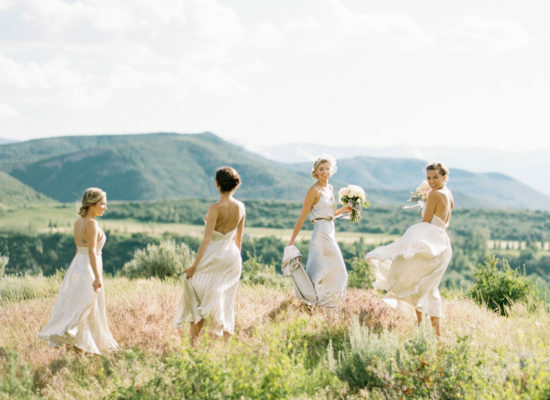 All was captured by photographer Laura Murray.